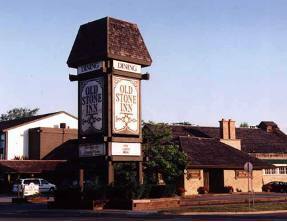 The Old Stone Inn in Niagara Falls is a historical boutique hotel located near all the major attractions. At this hotel hospitable staff will treat you as an honored guest. The enchanting Old Stone Inn is a century stone building, which was originally built in the early 1900’s as a flour mill. The property was purchased and restored in 1977 by a Niagara developer who maintained the true ambiance and character of the original mill. Guests of the Old Stone Inn can enjoy an elegant style of accommodations in the beautifully decorated and cozy guestrooms offered at this Niagara Falls hotel. For the romantic getaway suites with oversized Jacuzzis are offered and deluxe guestrooms with a king bed is also available. The Old Stone Inn is a historical inn situated in the heart of Niagara Falls and only a short walk to the Falls and the surround major attractions. Originally built as a flour mill in 1904, the hotel has been transformed into a classic country inn. The 114 cozy guestrooms are traditionally appointed, creating a unique charming atmosphere. Guests can enjoy the indoor/outdoor pool hot tub and privacy of the outdoor courtyard. Guestrooms at the hotel are professionally decorated to compliment the elegance and charm of the classic look of the hotel. With a variety of room types guests are able to enjoy the comfort of this fine hotel with the accommodations that suit there needs. Discover old charm and elegance in the historical dining room while enjoying casual fine dining with the soaring cathedral ceiling, wood burning fireplace and brass chandeliers you can dine on fresh, classic cuisine while reflecting on the proud heritage of the Old Stone Inn. Discover an enticing dining experience in Niagara Falls, as well as some of the finest cuisine in the Millery and Victoria Dining Rooms. Delectable meals of classical cuisine are created with a regional flair. Plan your next conference or business meeting at the Old Stone Inn. The facilities available at this Niagara Falls hotel are perfect for small groups and larger groups alike. Care and efficiency are highlighted in conference planning as well as careful detail and attention for those all meetings, conferences and weddings. Business travellers can retreat from a tiring day to the quiet oasis of the Old Stone Inn.